On this shoe calendar Sinterklaas or Piet can indicate if your child can place his shoe in front of the fireplace in the evening and will receive a present in his shoe next morning. Piet can indicate this by colouring the shoes of those days for example. This creates clarity and perhaps reduces stress a little. 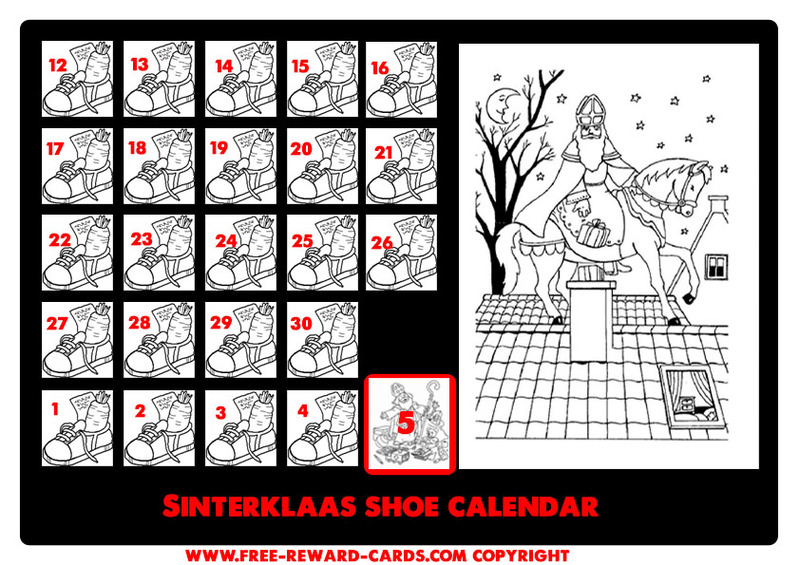 Maybe it also decreases the number of times your child asks if the shoe may be put ... your child can put this shoe calendar in his shoe, the next morning, he finds a list filled in by Sinterklaas or Piet in his shoe!